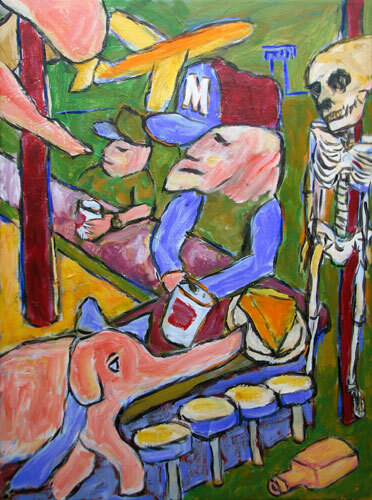 “Pink Elepant (Lonely Man at Sports Bar)” contemporary figurative painting. acrylic on canvas. 18 in x 24 in.